Are you ready to win Raiders Stadium Contracts? The latest Community Benefits Plan proposes a goal of 25% of money spent on the stadium going to minority-owned small businesses. Get certified to take advantage of the opportunities! The MBE Certification process can be time consuming and complex. Yet MBE Certification can be one of your most valuable assets, increasing your competitiveness in the government and corporate arena. This is your opportunity to tap into incredible savings and receive assistance with your Minority Business Enterprise (MBE) certification at a fraction of the cost. It’s as easy as that. Backbone America helps you every step of the way! Act quickly. 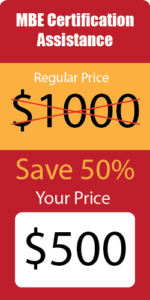 This offer expires at the end of the year! [x] Complete your application FOR YOU! Plus… we remain on standby to troubleshoot any issues that may arise with your application at no additional cost to you. 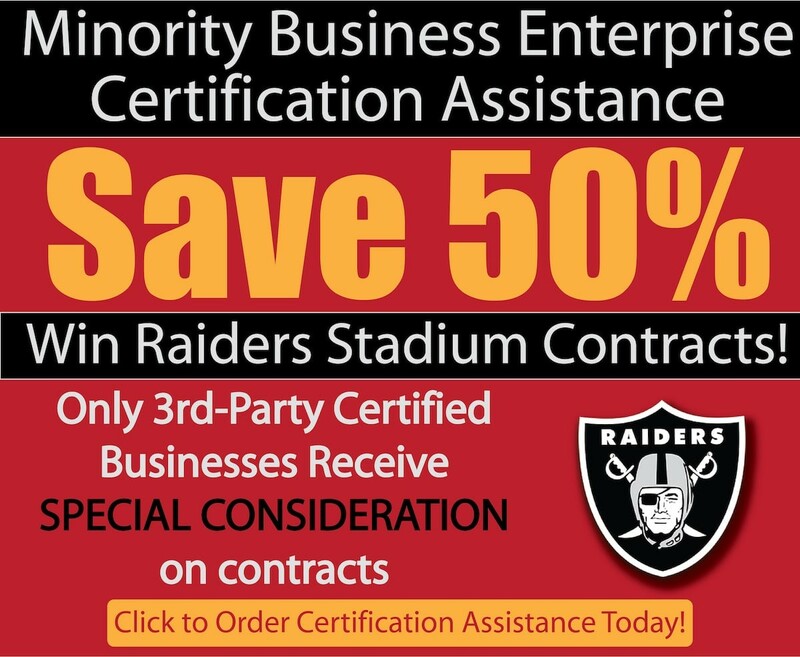 Let’s get you certified to win those Raiders Stadium Contracts! Note: Financial assistance may be available for qualified business owners. During your initial appointment, ask about funding opportunities that can help you mitigate the cost of your MBE Certification Assistance. Qualified business owners can receive up to 75% off the regular price. That’s right! For your initial deposit, you receive the help you need to get your business certified! If your goal is to grow your business, you can’t afford to forgo MBE Certification! Give your business the leverage it needs to compete with the big boys! Great! We have answers. Schedule a free 15-minute consultation with us. We’ll talk about if MBE Certification Assistance is right for you.